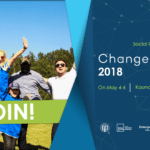 If you have an idea or a startup company dedicated to making the world a better place, here’s a great opportunity to propel it forward with a big prize: entrance to ChangeNOW ! We decided to focus on 8 areas we consider the most urgent Global Issues of the XXIst century, and for which practical and sustainable solutions can be developed. 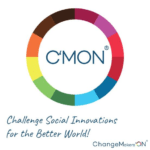 We want to put light on solutions that can bring change. Therefore we are looking for projects that innovate and dare to rethink the standards. 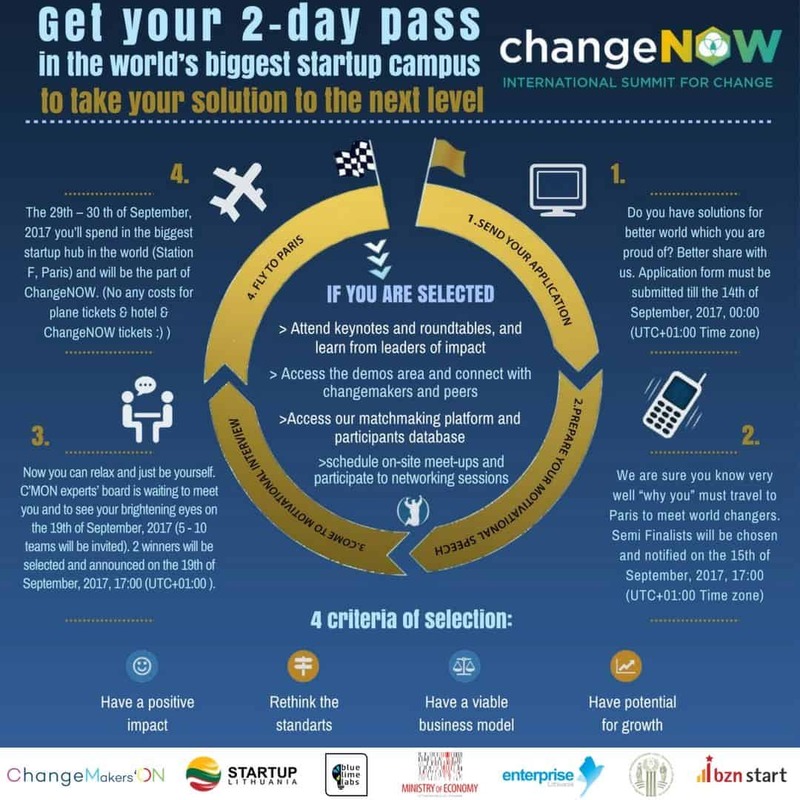 Solutions that we showcase at ChangeNOW are real and feasible. They ideally have a prototype, a mock-up or a finished product to show. 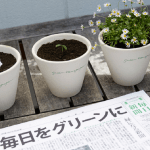 They are economically viable, with a viable business model or serious potential for it. 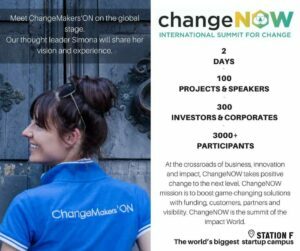 One of the goals of ChangeNOW is to enable projects to grow and scale, in order to extend their impact. Therefore we select solutions that have the potential to grow and be replicated in different places. 3. Come to motivational interview (C’MON experts’ board is waiting to meet you and to see your brightening eyes on the 19th of September, 2017 (5 – 10 teams will be invited). 2 winners will be selected and announced on the 19th of September, 2017, 17:00 (UTC+01:00 Time zone). 4. 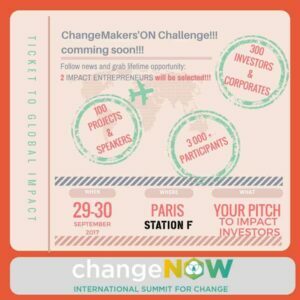 Fly to Paris (The 29th – 30 th of September, 2017 you’ll spend in the biggest startup hub in the world (Station F, Paris) and will be the part of ChangeNOW.